Built to protect England’s northern border against Scottish attacks, Alnwick Castle was first obstructed the northern landscape in 1096 to guard a road crossing the River Aln. With a long and bloody history, Alnwick castel was eventually bought by Henry Percy in 1309 and has been lived in by the family ever since. 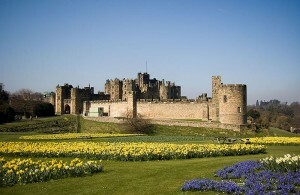 A gloriously imposing medieval castle, Alnwick is Northumberland’s very own ‘windsor of the North’. Still lived in by the Percys, Alnwick is very much a living castle and amongst the thriving estates and businesses, lies a family home that has been that way for over 700 years. Behind the foreboding walls that have seen kingmakers, rebels, a gun-powder plotter and passionate collectors, lavish stately rooms packed with stunning art and furniture portray the 700 years of the Castle as the Earls and Dukes of Northumberland. Roam through the grand and lustrous rooms open to the public such as the Library; situated in the Prudhoe Tower, featuring floor to ceiling bookshelves housing just under 14,000 books, as well as the dining room, the drawing room and the chapel. Alnwick is popular with Harry Potter fans, as it posed as the magical Hogwarts School of witchcraft and wizardry in the Harry Potter films. 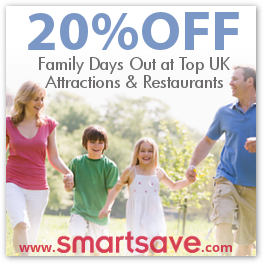 Walk the steps of Harry, Ron and Hermione as you explore the castle’s long and bloody history.